The moment I saw this recipe on Pinterest, I knew I had to try it. Slam dunk, right? 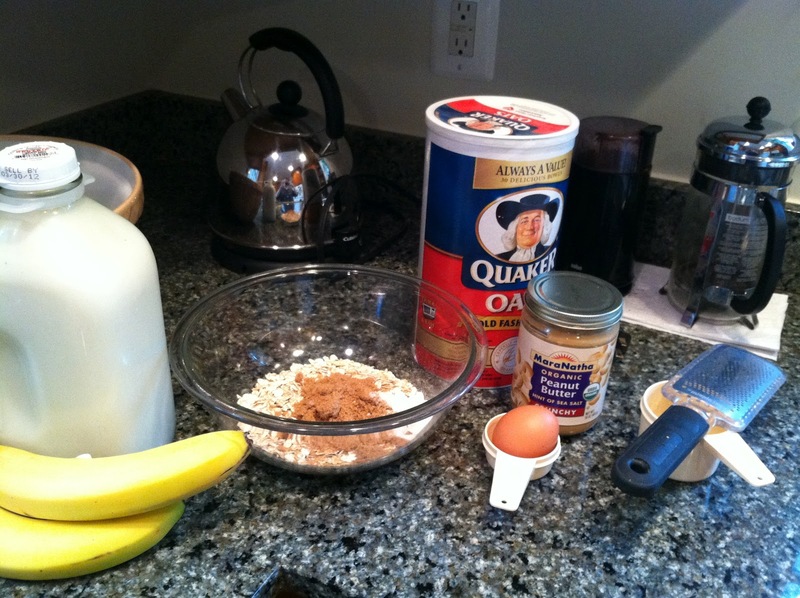 This recipe has it all: oatmeal, peanut butter, bananas, eggs, milk. 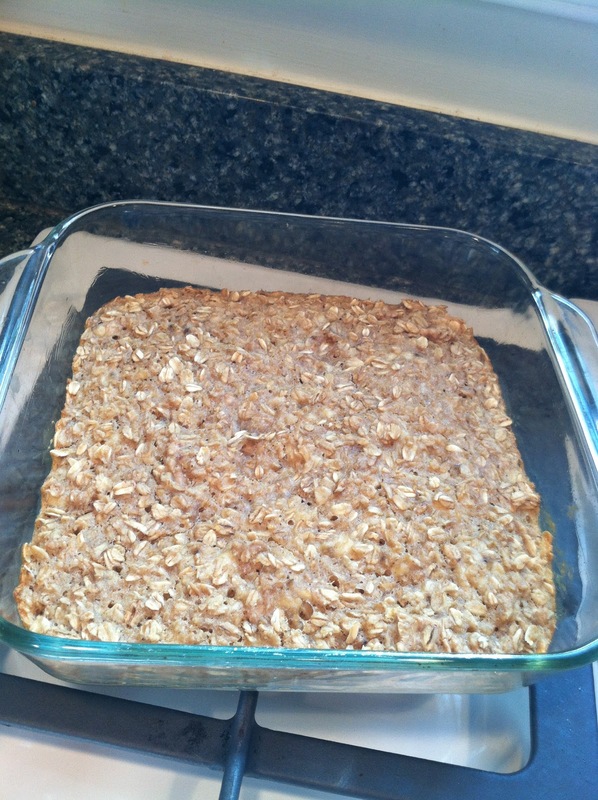 Super healthy and perfect for a quick breakfast. 1. 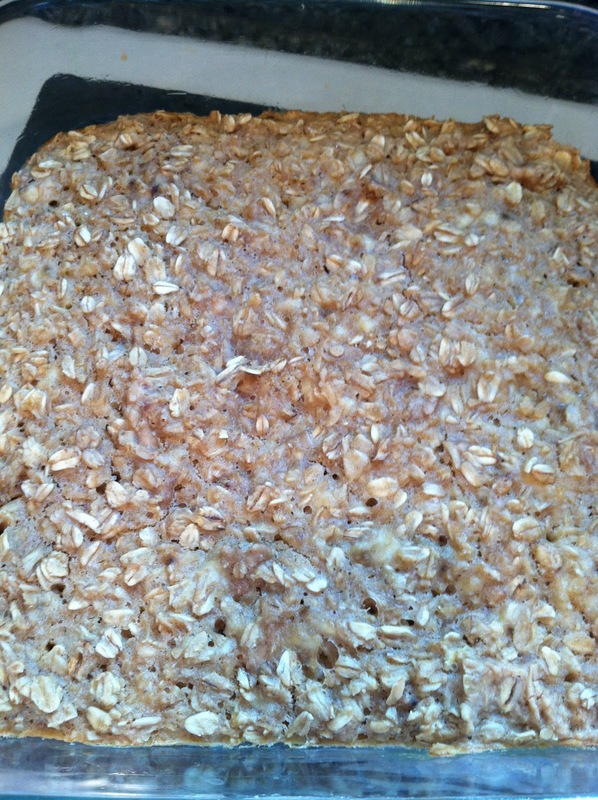 Preheat the oven to 350 degrees F. Grease an 8×8 baking dish and set aside. I used glass; apparently in the original recipe it calls for metal. I don’t know which works better. 2. 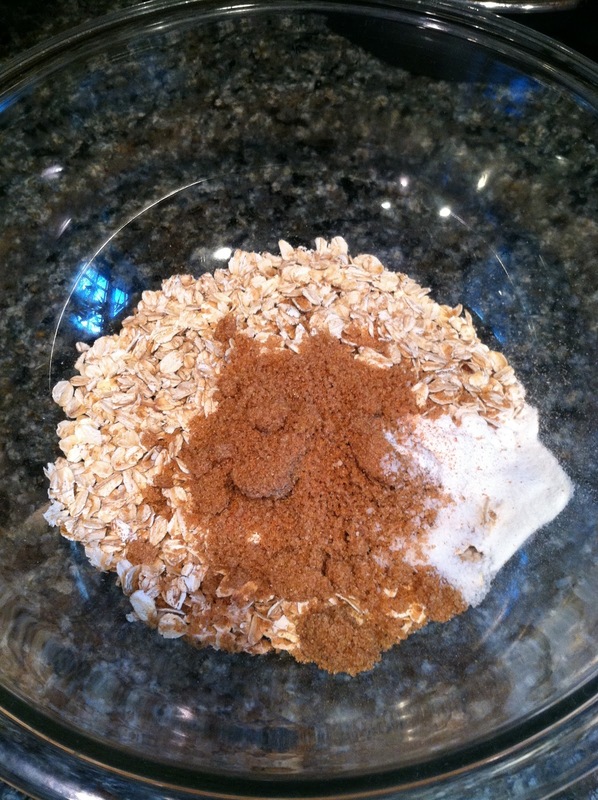 Mix together the oats, brown sugar, cinnamon, salt, and baking powder in a medium-sized bowl. 3. Gently whisk the egg then add to the dry ingredients with the vanilla. 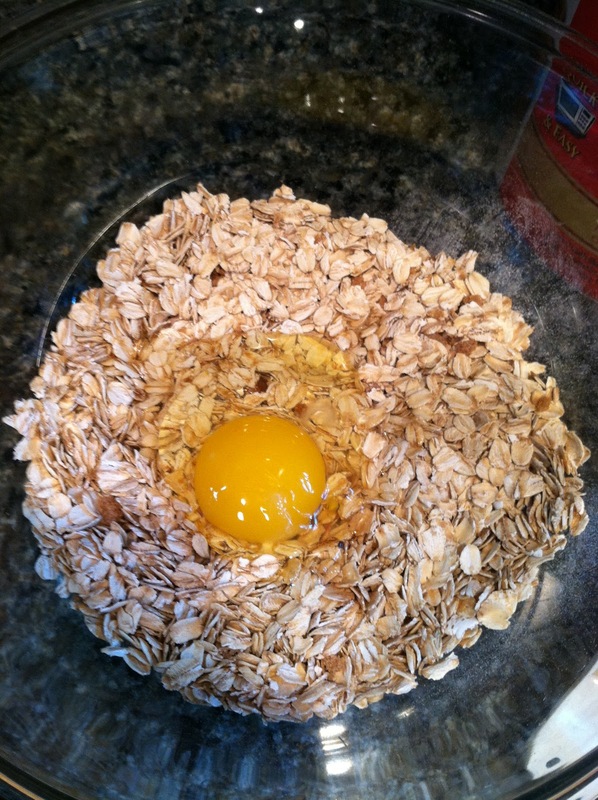 Or, you know, just add the egg in without whisking. 4. Mash up the banana then add it to the ingredients. 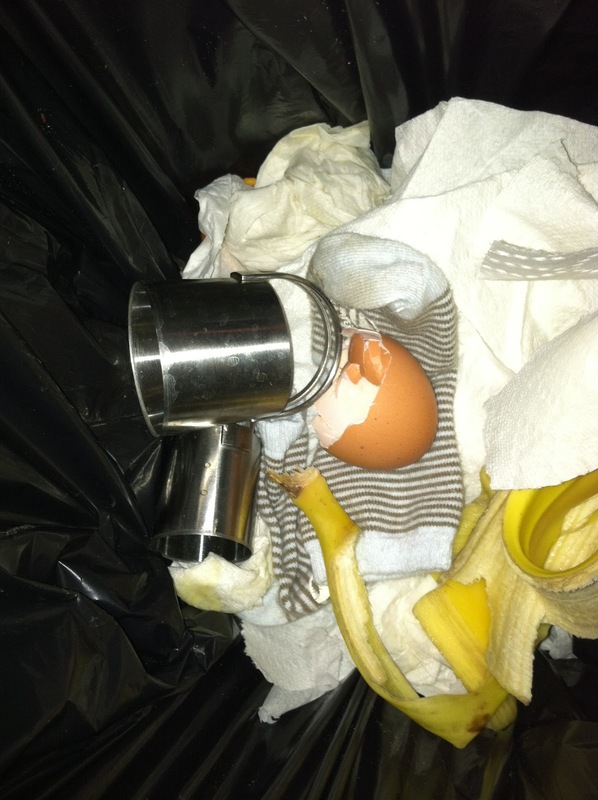 If you were me, at this stage you would look around and realize Little Bread Toddler was hard at work throwing his socks and your baking supplies into the garbage. 5. 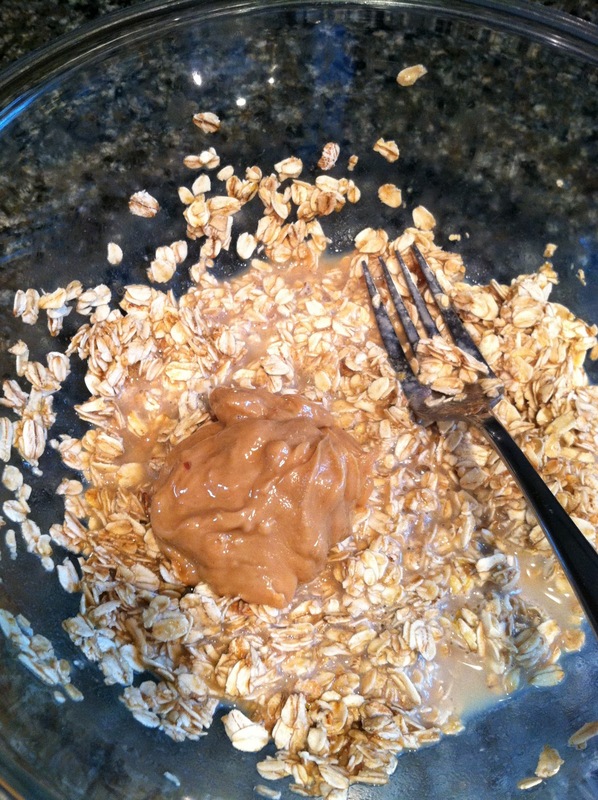 Stir in the milk and peanut butter. 6. Pour the mixture into your greased baking dish and bake in the oven for about 20-25 minutes, until the top is pretty firm. 7. Let it cool, then cut into squares or whatever shape you like and eat, or wrap individually in plastic wrap to store in the fridge or freezer. I know that’s not what you wanted to hear, and it wasn’t what I was expecting. I mean, the recipe had everything going for it. I don’t know what happened. Not enough cinnamon? 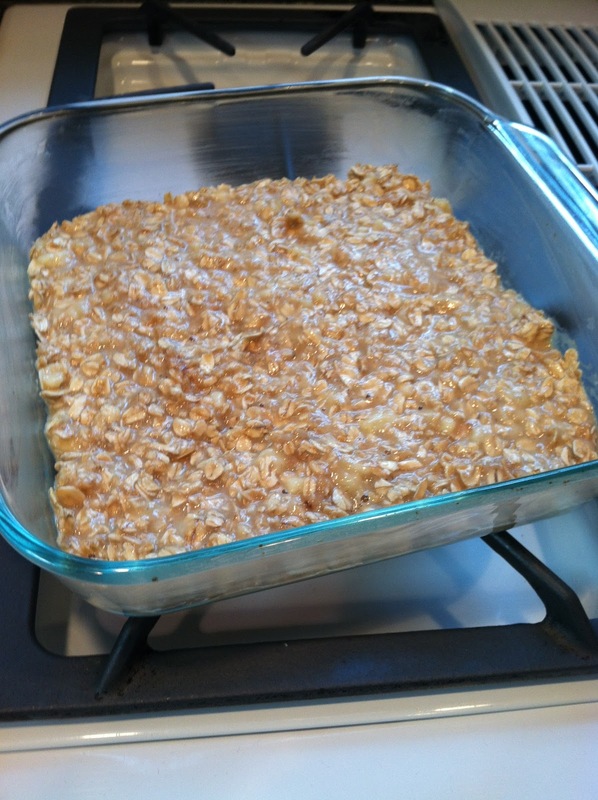 I know I didn’t grate a whole teaspoon’s worth, but the recipe also had a bunch of brown sugar, and it didn’t really taste sweet at all. Or peanut buttery at all. I don’t get it. 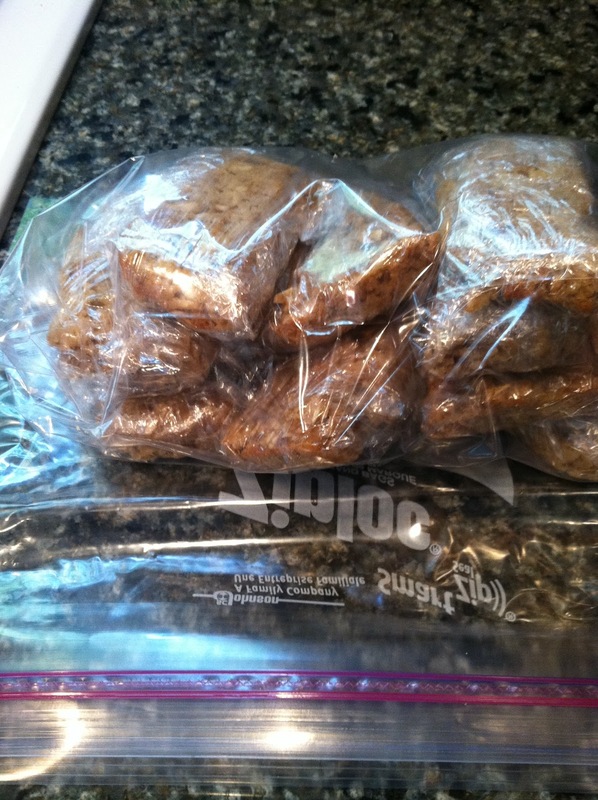 I think if I make them again, I’ll add more spice and more peanut butter. I’m also thinking if you added raisins, chocolate chips, nuts or shredded coconut that might liven them up a little. 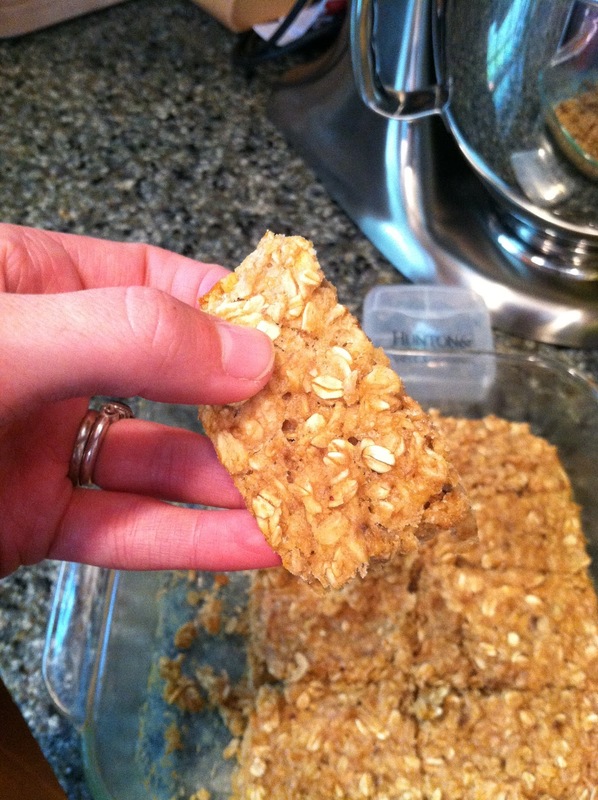 Or maybe I just think that because that would make these bars taste more like my easy granola bars. 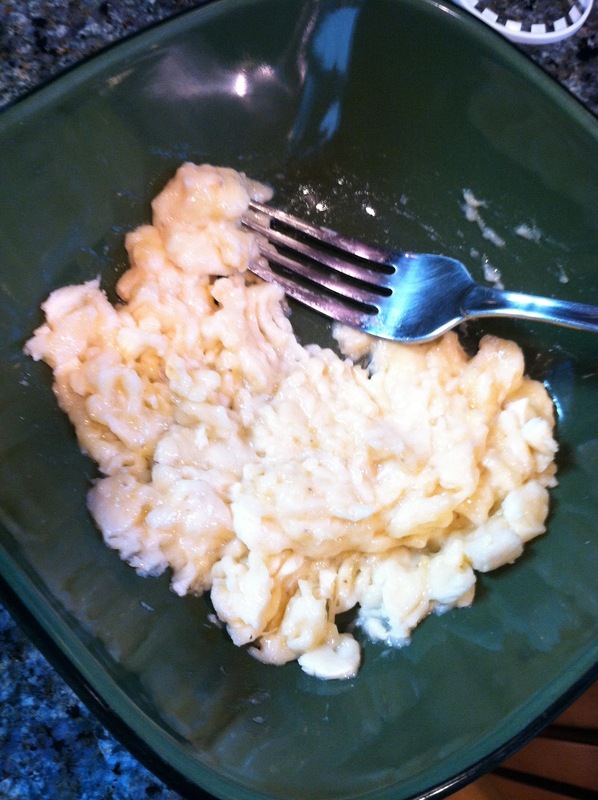 I was a little disappointed because Pinterest is supposed to be a way to share things you really like… and this recipe was a bit of a dud. 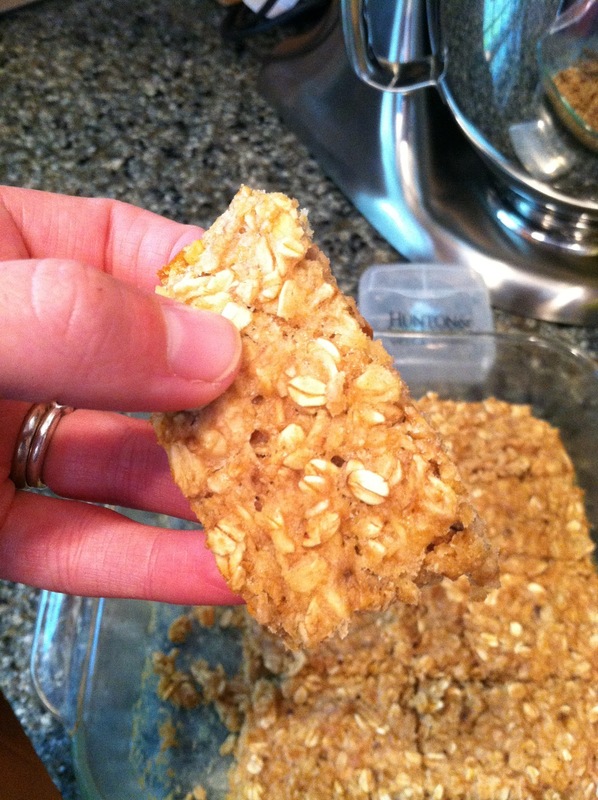 Have you ever been disappointed by a recipe posted and re-posted all over Pinterest?